Well this has certainly been an interesting week. England crashed out of the World Cup (twice if you count their defeat at the hands of Belgium this afternoon), David Davis and Boris Johnson both resigned, and US president Donald Trump made his first official visit to the UK in his role as apparent leader of the free world. Before he was due to meet prime minister Theresa May on Thursday, Trump gave a rather inflammatory interview in the Sun newspaper, in which he claims that the PM ignored his advice in pursuit of a softer version of Brexit. 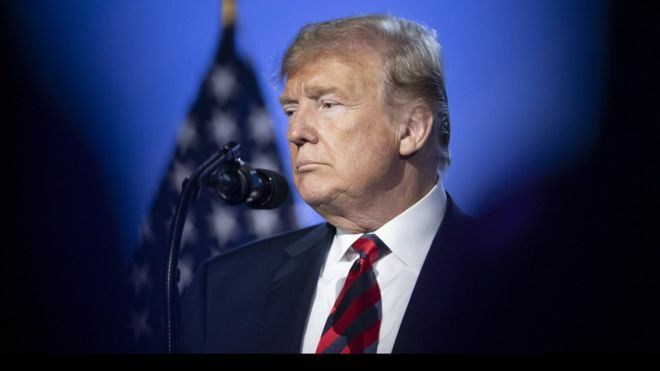 In the interview, Trump also alluded to his preference for the next leader of the Conservative Party (and perhaps PM), by saying that outgoing foreign secretary Boris Johnson would make “a great prime minister”. His comments on Brexit are hardly surprising given his long-standing euro-scepticism and support of the leave side during the referendum, but it’s what he said specifically about May’s so-called Chequers’ accord that has piqued my interest. In the interview Trump said of Brexit: “maybe they’re taking a little bit of a different route, so I don’t know if that’s what they voted for”, leading to numerous headlines in the press stating that the Brexit we’re heading for isn’t necessarily the one that the country voted for. Now, as many of you will know and by the nature of my political leanings, I’m no fan of Trump nor do I agree with anything he says. But I appear to have been caught out. For once, I agree with him: this is not the sort of Brexit that the country voted for. Not because it’s hard or soft, but because no one had the opportunity to vote for a particular version of Brexit. The contents of May’s plan are inconsequential. The nature of the UK’s departure from the EU has many guises, not one of which appeared on the ballot paper in 2016. So, could it be that Trump is the People’s Vote‘s newest advocate? What started as a wistful attempt by the Liberal Democrats during the 2017 general election campaign to snap up remain votes from up and down the country, has now turned into a national campaign enjoying the support of MPs from across all major political parties, except for of course UKIP, although Farage has once supported the idea of a ‘second’ referendum, albeit flippantly. Big names like Anna Soubury, Chuka Umunna, Vince Cable and Caroline Lucas are but some of the politicians supporting calls for a first referendum on the terms of the Brexit deal, and it seems with his latest comments that Trump is adding his name to the ever-growing list. Last year I stood in the election on a platform of supporting a referendum on the deal not because I want to reverse the result of 2016’s vote, but because I think it’s right and fair that a process that began with the people, ends with the people, and because I strongly believe that no matter which way people votes two years ago, the version of Brexit that we eventually get should be signed off by those who have to live with the consequences. Many people who voted to leave did so on the promise of having a full break from the EU, thereby leaving the single market and the customs union. May’s latest plan, whilst leaving these two institutions in name, actually just mirrors the current arrangements we have (with the exception of the trade of services, which makes up 80% of the UK economy); any goods we sell into the EU will have to meet EU regulations under the proposed customary alignment plan. Many people who voted leave did so because they wanted to end the jurisdiction of the European Court of Justice, but the ‘joint-jurisdiction’ model in the Chequer’s plan leaves little to be desired as it claims that any decisions made by a UK court will have to take EU precedents into account – doesn’t that basically mean that the ECJ would still be the overruling legislative body in the UK? Perhaps the only thing that Brexiteers can cheer about is the commitment to end the freedom of movement, which under the current plan, remains unchanged and there doesn’t appear to be any loophole that would allow this to continue. Given that this plan is hardly the utopia that leave voters were promised or voted for, what should happen next? Should they just accept the terms the government is set to negotiate? Should they just be happy that we’re leaving the European Union, albeit it would seem, in name only? As Rees-Mogg says, being a rule-taker and not a rule-maker is the worst possible position to be in, and I can’t believe I’m about the put this in writing, but I agree with him! As soft a version of Brexit as May’s plans propose, they do little to live up to the promises of the leave campaign and quite frankly, it has me questioning what the point of leaving actually is. If we’re simply going to say we’ve left the European Union but continue as if nothing changed, it seems like a monumental waste of time, money and effort; time, money and effort that could have gone into oh, I don’t know, the health service? Education? Housing? By giving the final say back to the people you aren’t being undemocratic. You aren’t disrespecting the vote of 2016. What you’re doing is saying “hey folks. Here’s the deal we’ve negotiated. Is this the sort of thing you wanted? Is this what you voted for?” This is all those who are fighting for a people’s vote are arguing. Now, I do differ somewhat with my Liberal Democrat colleagues in that I don’t see this at the ultimate tool for stopping Brexit altogether. Whilst I strongly believe that there should be a remain option on a hypothetical ballot paper in a hypothetical ratification referendum, I also think that there should be a no deal option. If people have seen the calamity that leaving the EU will cause, if people are so unhappy with the EU that they can’t stomach the deal or simply remaining, they have the right to say “thanks, but no thanks” and opt to leave without a deal in place. Yes, this would be damaging to the UK and the EU, but by omitting an option to leave without a deal, you are in effect sticking two fingers up to the 17 million people who voted to leave in the first place. A referendum on the deal is simply about making sure that the Brexit we get is the one people voted for. That’s all. It’s democratic, and it’s reasonable. I think the reason why so many Brexiteers are against the idea is probably because they know that a remain vote would win, and their dreams of finally being free from the so-called shackles of Europe would be dead. I genuinely believe that a people’s vote would put the European question to bed once and for all, and I for one would be happy to never speak of it again. If you’re a leave voter reading this (I know perhaps there is at least one of you – and you know who are you), ask yourself this question: is it right that the government impose a deal on you that you didn’t vote for? Is it right that some of the things you may have voted for won’t materialise? Christ, the public absolutely crucified the Liberal Democrats for breaking an election promise, so isn’t it right that those who campaigned for leave have the opportunity to have their promises held to account at the ballot box? If you do think it’s right, then you can add your name to the petition calling for a people’s vote here. If not, well I guess there’s nothing I can do or say to convince you, and I’ll assume that you’ll be happy so long as we leave the EU, the nature of our exit being completely irrelevant. Right. Now that I’ve said I agree with Trump on something, I’m going to go take a long cold shower and reassess myself.